I had never thought that going to Chennai would become a quarterly affair until my best friend got married off to a Tamilian and moved there. One of those trips last year coincided with Navratri, and to be honest, I was more excited to see a new kind of Navratri celebration than catching up with my bestie. I was in Bangalore for some work, so I decided to take a one-way cab from there to Chennai. 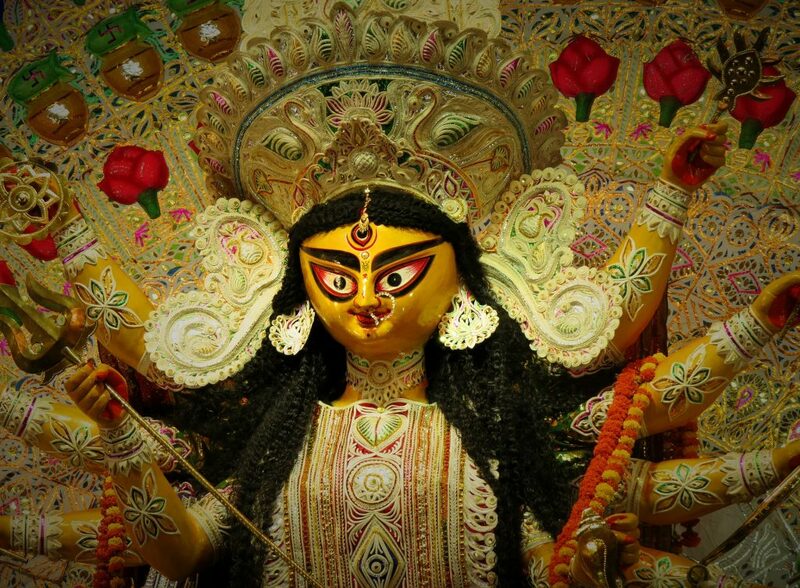 On arriving at her place, I learned that most married women celebrate the Festival of Dolls or locally known as the ‘Golu Festival’ as a primary part of Navratri observance. And so would she. To help her with her first Golu Festival, her in-laws had come over for a little orientation session and to take her through the rituals, albeit with me lending a hand in the preparations. Looking at the entire ceremony, the festival reminded me of the Japanese Doll festival, on which I had seen a documentary film. Also called Himanatsuri, Japanese dolls are linked to Japan’s royal legacy and consist of miniature representations of emperors, empresses, or samurais, while the Indian version is connected to our religious history. The idea is to set up little idols made of clay or POP (plaster of Paris) in a specific arrangement over a set of steps. These steps are usually in odd numbers and range from 3 to 11. During the nine days of Navratri, this arrangement would be displayed in the principal area of the house- like the foyer or the living room, where everybody can see them. 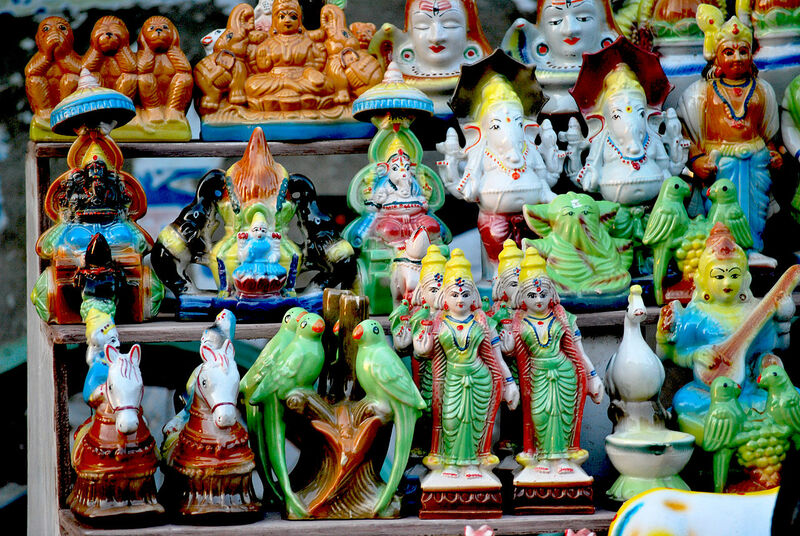 In fact, the word ‘golu’ in Tamil translates to ‘presiding over’ or ‘be on display’. These dolls or idols are usually of religious and mythological importance and are arranged to depict some scene or event from the Bhagavad Gita, Mahabharata, Ramayana, or the Vedas. My friend and I, being novices, had to be schooled from scratch on how to go about with setting the dolls up. It starts with choosing a theme or a story first. So women folk get busy days prior with selecting the ‘story-board’ and then sourcing the dolls from different shops, and various props to go with each. Nowadays, with people becoming more environmentally conscious, there are loads of eco-friendly options like paper-mache, recycled materials, and terracotta. Although this festival is primarily women-centric and is mostly handled by women in the family, it was a pleasant surprise for me to see my friend’s father-in-law taking an active part in the whole process. In fact, he chose some of the dolls, painted them, managed the carpentry work for the steps and set up the display décor. We were told to lay a yellow or a white cloth on 7 steps. Each step had a theme from Mahabharata (an old family practice) like Arjuna taking aim at the fish, then the Pandavas’ exile, Lord Krishna and Karna at the battlefield and so on. Throughout Navratri, we exchanged visits with my friend’s neighbours and relatives. One particular day, we had over 8 houses to visit all over the city, so we decided to book a taxi in Chennai for half the day. These social visits were really enjoyable and hiring a cab made covering all this ground so much easier. The women also exchange little goodie bags of coconut, sweets, beetle leaves etc. There was a special kind of sweet for the occasion called Sundal- made of groundnuts, chickpeas, and sometimes sweetened with jaggery. On the last day, the dolls were taken off the steps and packed up in boxes for next year; some of the older ones were kept aside to be decommissioned. Practicing this ritual over years, my friend’s in-laws had gathered a doll collection worth showcasing in a museum! Arranging dolls is an extremely creative and intuitive process- from choosing the shapes, sizes, characters, to dressing them up and placing them in a specific scenario. With my bestie by my side, the entire activity seemed like a total recall of childhood memories. 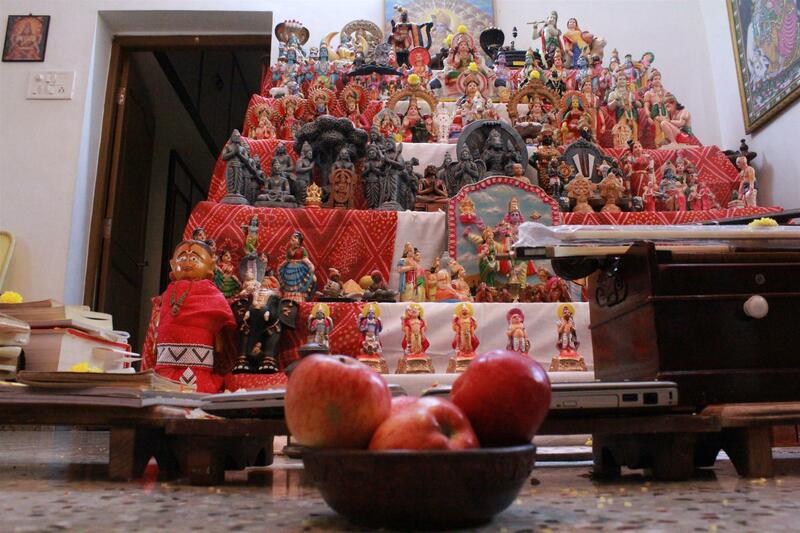 During the nine days of Navratri, the arrangement of dolls is displayed in the principal area of the house- like the foyer or the living room, where everybody can see them. 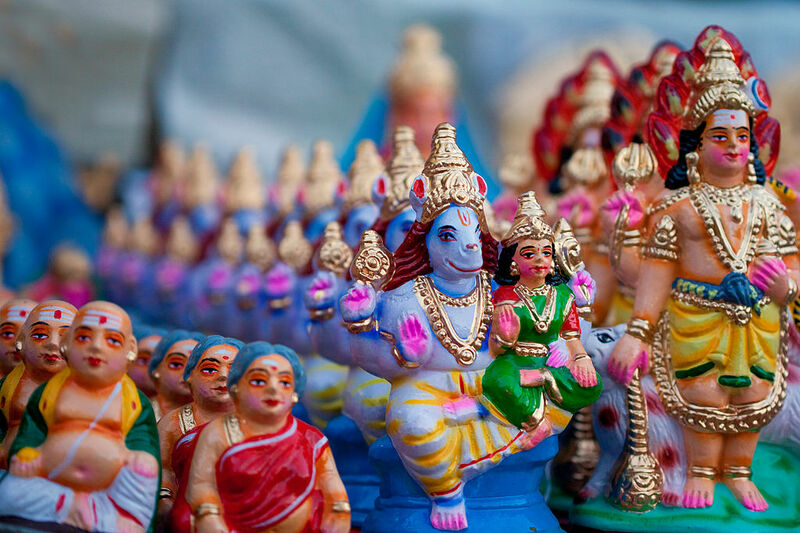 In fact, the word ‘golu’ in Tamil translates to ‘presiding over’ or ‘be on display’.